EDINBURG — The economic development arm of the city will hire a forensic auditor to review any actions taken over the past three years. 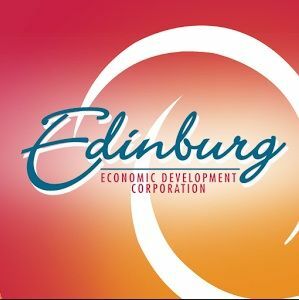 Board members for the Edinburg Economic Development Corporation authorized new Executive Director Joey Treviño to begin the hiring process at their meeting Tuesday. It was Treviño’s first meeting as new leader of the corporation. Enriquez called the move a “logical one” in order to “have peace of mind” that everything was done in accordance with the policies and procedures of the EDC. “I think this is going to better facilitate information to the public,” he said. While no auditor has been selected, it’s a professional service that doesn’t need to go out for bids or proposals, Enriquez said. Treviño, who will lead the effort, said he would bring the issue back before board before finalizing the hiring of an auditor. As head of the EEDC, Treviño will be making a salary of $120,000 per year. That’s $40,000 less than former EDC director Gus Garcia was earning, Enriquez pointed out. The board tasked Treviño with reviewing the organizational chart and making recommendations for staff after the EDC recently fired four staff members and recruited former Edinburg City Secretary Myra Garza as the new director of business operations and marketing. It “made sense” to reduce the number of employees from six to three, he added. “There were a lot of duties that were being overlapped on those four positions, and it didn’t make sense paying two people doing the same job,” Enriquez said. The reduction could cut in half the EDC’s staffing expenditures, he added.